Today, to mark the end of 2010, I'm rounding up some of the things that I've most enjoyed sharing with you here on Lilac & Lily this year. Back in April I created a series of 'good enough to eat' arrangements inspired by ice creams and cupcakes. We also celebrated our first wedding anniversary at The Olde Bell at Hurley and fell in love with the Ilse Crawford designed interiors. 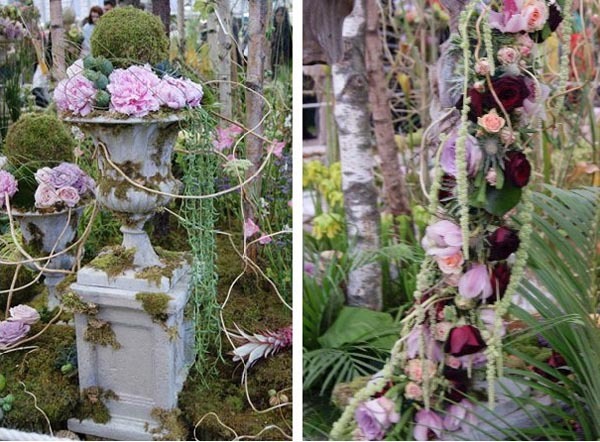 In June my posts from the Chelsea Flower Show included wedding flower inspiration and this romantic secret garden style display by NAFAS. and October saw me continuing to indulge my obsession with vintage and salvaged objects with this vintage suitcase arrangement.